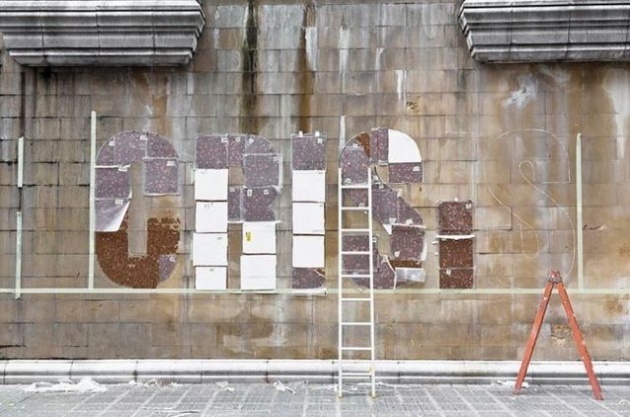 Madrid, Spain based street artist SPY who is know for his Urban Hijacking arts has created this hard hitting piece of graffiti with 2 cent coins. 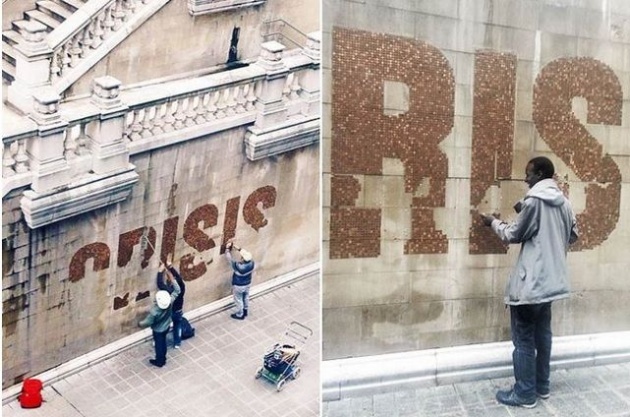 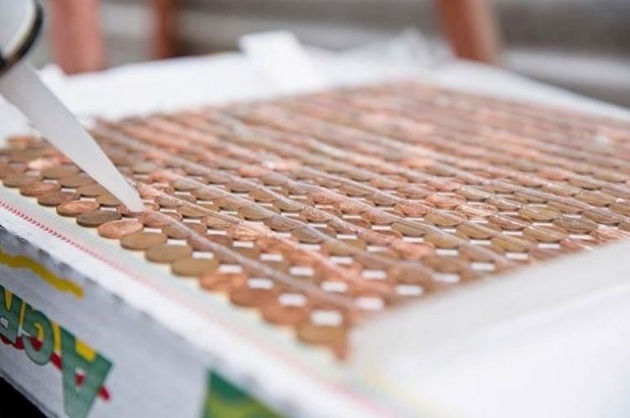 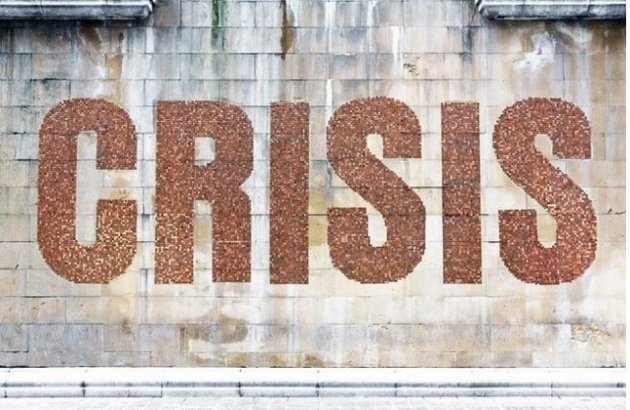 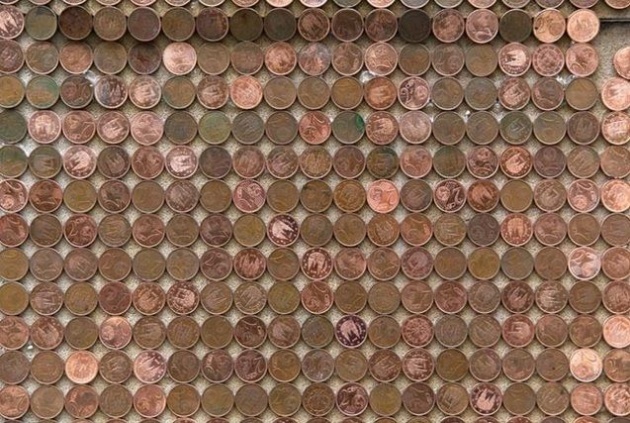 The graffiti created with coins is an ironic commentary on the European financial crisis. 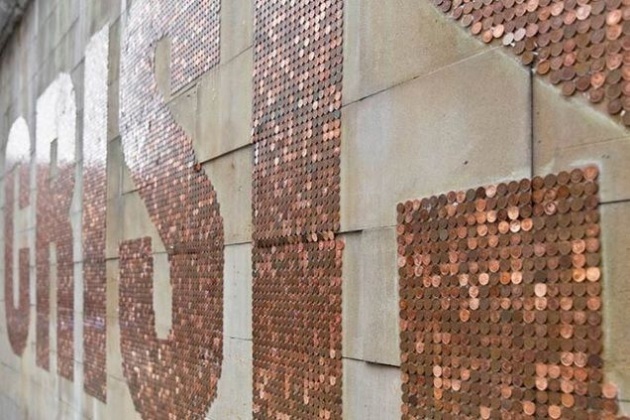 The artist used 1000 Euro worth of coins to create this street art in the streets of Bilbao. 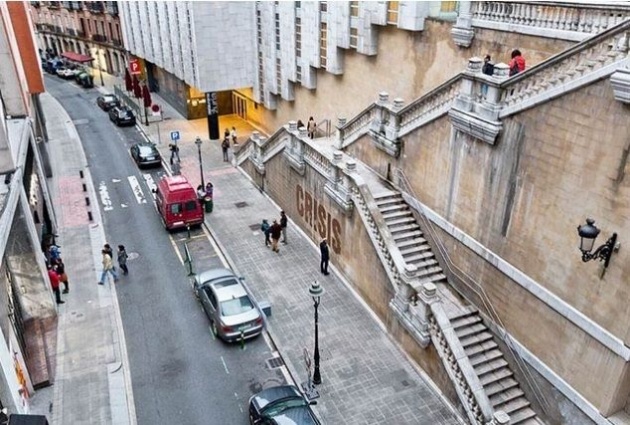 Local authorities were quick to remove the installation.